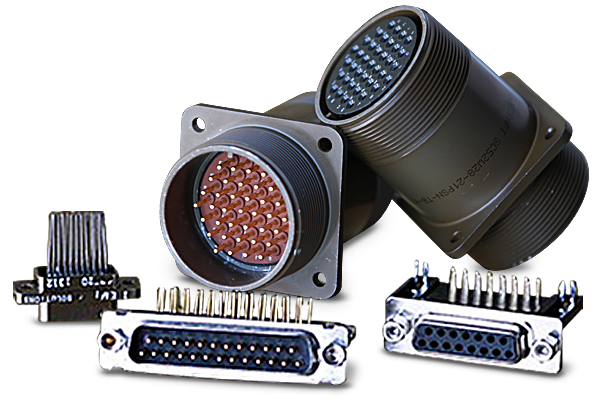 Mil-Circ, D-Sub and Micro-D EMI filtered connectors | EMI Solutions Inc.
Standard and customized EMI filtered connectors for Military, Aerospace, Transportation, Commercial and Industrial applications. EMI Solutions’ unique designs provide solid ground planes around the filter components to not only provide the lowest impedance path for the filter, but also provides increased shielding throughout the connector area. EMI Solutions’ full range of Mil-Circular filtered connectors offer the convenience and flexibility of standard configurations while delivering unsurpassed EMI/EMC performance. Filtered connectors are the best means of eliminating unwanted noise from any electronic system. Using filtered connectors eliminates the EM and RF noise that will be picked up through the contacts/leads generated by any internal or external source right at the connector’s interface. There are a multitude of ways to filter or shield at the board level, but none can outperform filtering at the boxes’ interface. EMI Solutions’ full range of D-Sub filtered connectors offer the convenience and flexibility of standard configurations while delivering unsurpassed EMI/EMC performance. Filtered connectors are the best means of eliminating unwanted noise from any electronic system. Using filtered connectors eliminates the EM and RF noise that will be picked up through the contacts/leads generated by any internal or external source right at the connector’s interface. There are a multitude of ways to filter or shield at the board level, but none can outperform filtering at the boxes’ interface. EMI Solutions’ full range of Micro-D filtered connectors offer the convenience and flexibility of standard configurations while delivering unsurpassed EMI/EMC performance. Filtered connectors are the best means of eliminating unwanted noise from any electronic system. Using filtered connectors eliminates the EM and RF noise that will be picked up through the contacts/leads generated by any internal or external source right at the connector’s interface. There are a multitude of ways to filter or shield at the board level, but none can outperform filtering at the boxes’ interface. Let our engineering design team assist you in your specific Mil-Circular, D-Subminiature and Micro-D filtered connector requirements.